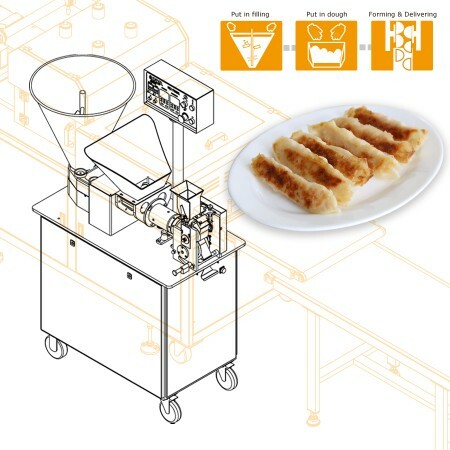 ANKO Multipurpose Filling & Forming Machine - High Quality Multipurpose Filling & Forming Machine Manufacturer from Taiwan | ANKO FOOD MACHINE CO., LTD.
ANKO - The best Multipurpose Filling & Forming Machine manufacturer. We always commit to the development and focus on the quality of our machinery. Production capacity is for reference only. It'll change according to different product specifications and recipes. Specifications are subject to change without notice. The broad range of dough composition allow for different dough textures. Water content in dough varies form 30% to 50%, and could be cold, warm or hot to make wrappers tender after boiling or steaming. Shortening content in dough can be up to 20% to make wrappers that will be crispy after baking or frying. 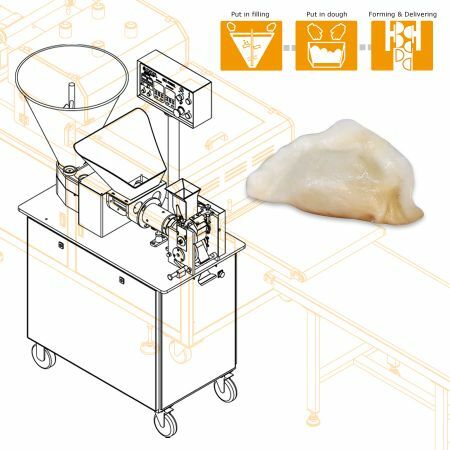 Equipped with special forming device, our HLT-700XL could also produce Hargao fully automatically. It is easy for operation, cleaning, assembling, and repairing. 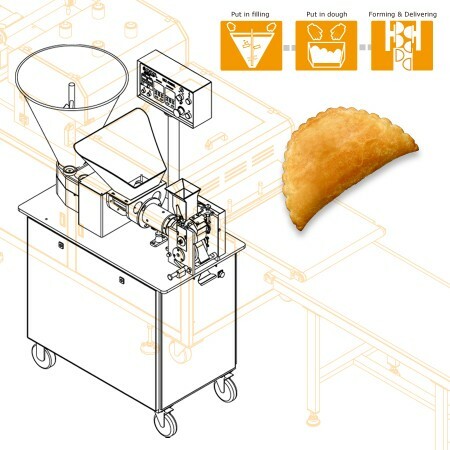 Unique filling system that apply different fillings, like mince, cheese, chopped vegetable, and chunk filling. Max chunk size in filling can be 0.8X3cm shrimp, 0.8X0.8cm diced meat or cooked potato, which allows you to have more different filling combinations. It can also adapt different dough types, like all purpose flour, high gluten flour, semolina dough, pizza dough, mashed potato, starch dough……and more. Dough skin thickness and filling Qty are adjustable. Finished product can be steamed, boiled, or fried. It requires little space for operation, the size of HLT-700XL is only 57X115X170cm.